CARE Burundi is reconsidering its role and is moving from the implementation of projects -together with its partners- towards the role of catalyst and facilitator for the partner organisations. This change foresees more independent and sustainable partner organisations. Therefore, CARE is undertaking a process that aims at creating a partnership network and strengthening the institutional and technical capacity of its partners. The first step in this process was a workshop/conference to create a common vision on the future of effective partnership to strengthen civil society and thereby creating willingness and readiness amongst the key staff members of CARE and its partner oganisations to engage in this process. Perspectivity designed and facilitated a 3-days Future Orientation workshop on effective partnership for the strengthening of civil society. 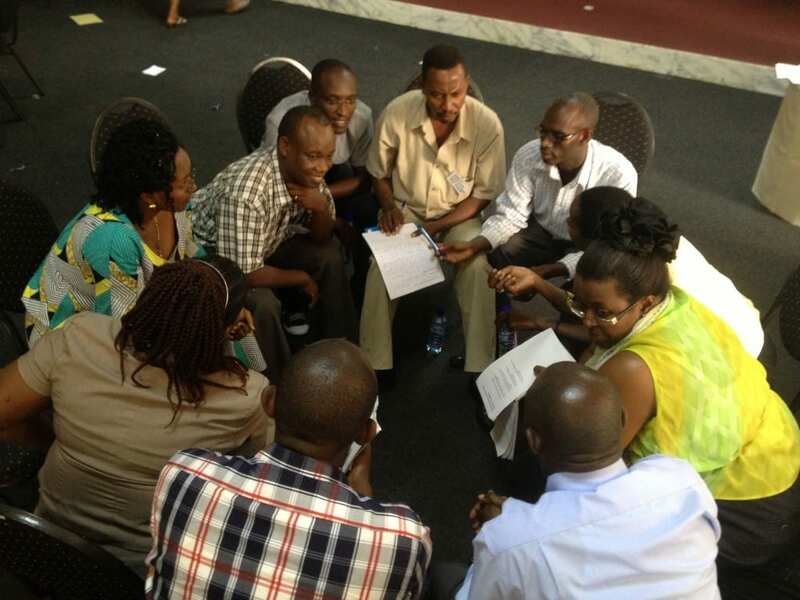 A group of 50 key staff members of a wide variety of Burundian NGOs participated. We applied large group intervention methods and encouraged self-management by the group. During the workshop participants explored their current reality during a world café, created a mind-map of the trends affecting partnership collaboration, exchanged best experiences on partnership and from this global context they developed future scenario’s. All that paved the road and was a source of inspiration for formulating a common ambition and initiatives for action to build effective partnerships. The workshop resulted in action plans for next steps in building effective partnership by thematic groups. Participants were delighted that they had open dialogues and honest interactions and had planned together for further action, engaged and motivated to build further on effective partnership. For more info contact: Elien Rogaar or Michael Donnely.